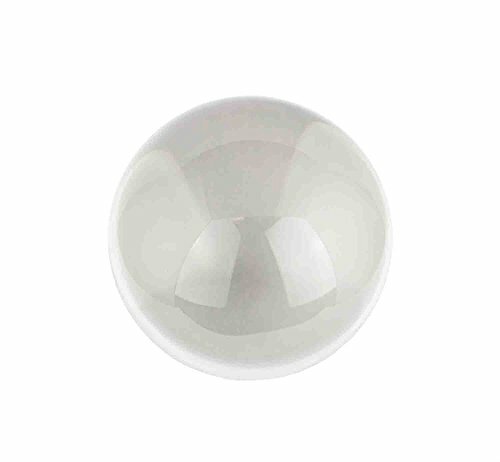 Sagebrook Home Decorative Glass Orb, Clear is the perfect home decor accessory to accent any corner, entryway or table in your living room, bedroom, and office. This Glass Decor Orb will be the perfect addition to your home decor and complement any of your existing furniture. Created from the highest quality Glass, this Decorative Glass Orb, Clear home accent will be a great centerpiece for your home! Sagebrook Home has been formed from a love of design, a commitment to service and a dedication to quality. They create and import fashion forward items in the most popular design styles. Backed with years of experience in the textile field, they are now providing a complete home decor story. The combination of wall decor, furniture, lighting and home accessories are all coordinated with textiles to provide a complete home look. Sagebrook Home is committed to providing the best home décor and accent pieces at value prices. Constructed of high quality Glass. This home accent piece will brighten and liven up your room, as well as add a touch of fun and surprise to your home decor. Measures: 3 x 3 x 3 Inches. With our large range of styles, our decorative accents will give your space that extra special love to enjoy your new home furnishings. Color: Clear. The color of this beautiful and lovely home decoration is very unique and will iluminate any room. This Decor Orb will be a great accent to your home decor. This home design piece will allow you to accentuate your style with planning your interior design. Enhance your home decor with our gorgeous and stunning lines of Decorative Accessories. Our decorative accents will inspire your creativity with designing your home and outdoor spaces. View More In Decorative Balls. If you have any questions about this product by Sagebrook Home, contact us by completing and submitting the form below. If you are looking for a specif part number, please include it with your message. Christmas Gift : Natural Small Wicker Balls With Two Tone Color Red And White For DIY Vase And Bowl Filler Ornament, Decorative Spheres Balls Perfect For Decoration And Party 2 - 2.5 inch, 12 Pcs.